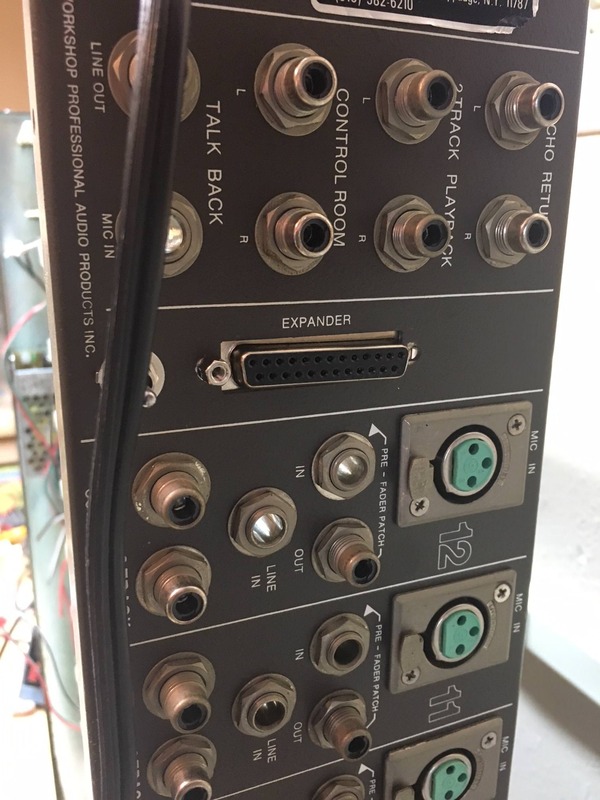 The panel is pre-cut for a DB25 at the "expander" port. So DB25 it is. OK, got the CAPI ACA-2BO done, boxed, connected to the cable. 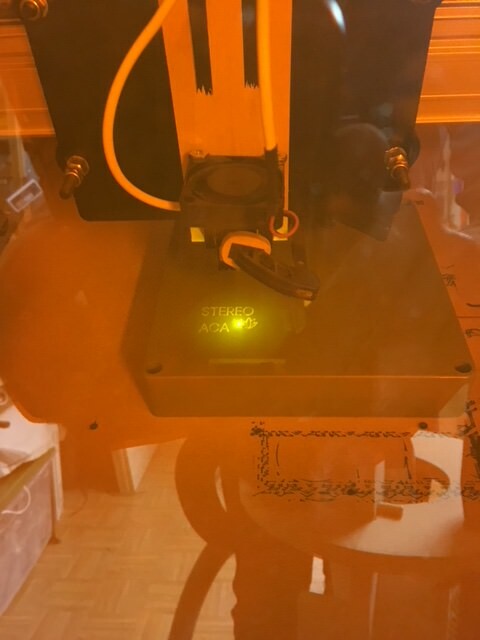 Engraved the lid with the laser for grins. There are two R66s on the schematic. Hahaha. That took me a while. Fired her up... new sum bus is oscillating. Sigh. Time to start troubleshooting. Ok,Its working. I hooked up a scope and noticed even with only two op amps and no signal there was a 3.5 Hz 165 mV oscillation. On a hunch I added a separate ground wire from the ACA board power common... low frequency oscillation gone. Added back all op amps.. everything fine. The problem? Cheap DB25 cable! The cable has 6 ohm resistance per wire! I tripled up all the power and grounds on the spare pins. And now I need to get a better cable. It's all done, and doing a quick sweep with RMAA shows that the output is consistent with both the direct and track outs (i.e., no huge frequency shifts or anything). I replaced the mystery brand bargain bin cable, and also tripled the number of ground, +V and -V pins being used. No significant voltage drop through the cable now. I also added an additional unbalanced leg from each side of the booster output for metering. 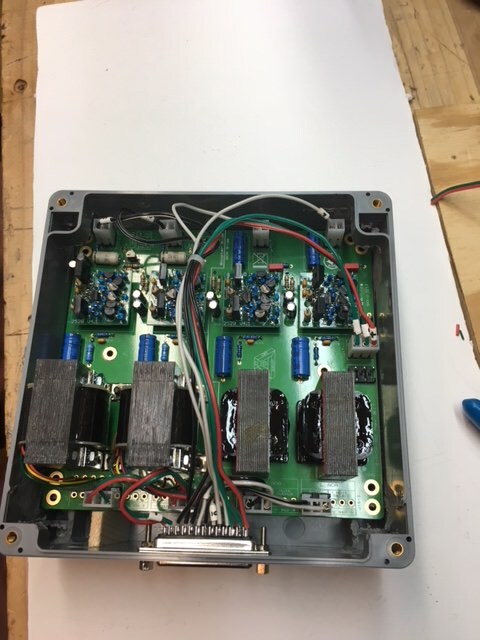 Since the balanced outputs are on a floating ground, you can't feed them back into the existing metering or monitor section on the board (without using another transformer to unbalance them, that is). 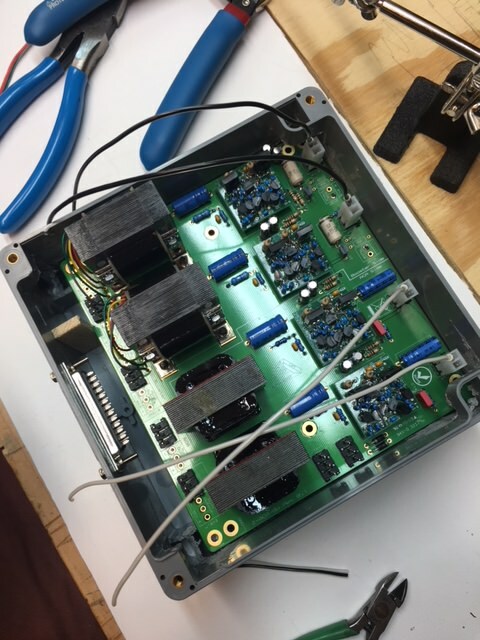 The 2503s are 1:1+1+1 and in the booster output they're configured for 1:2+1. So I took the extra 1:1 output (-6dB) and fed that back into the board for metering and monitoring. To isolate the original post-fader booster op amps, I removed their load resistors (R66 - be careful! there are two R66's! The one you're looking for is the 47R right next to the J6 jumper NOT the 22k R66 near the transistor!) and fed into the metering circuit from the other side. 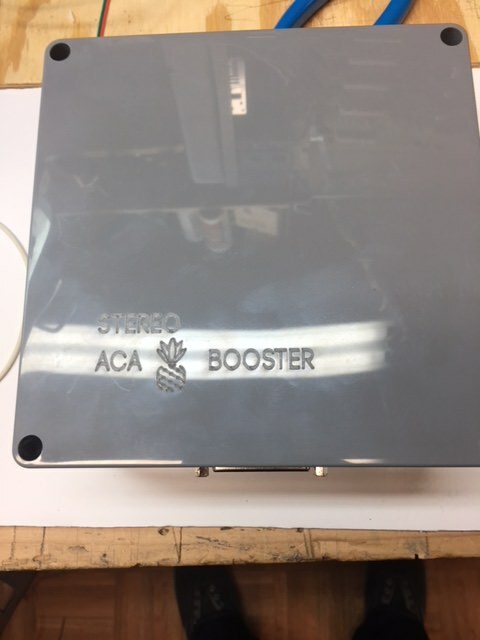 A box for the CAPI ACA. The only loss of functionality in doing this is that if you're monitoring your track outs for some reason, the 2 track out monitoring is 6 dB below that level. However, you could easily adjust this by manually setting each the monitor feed pots (R42) so that they're hitting the monitor section at the same level. Someone mentioned they were thinking about doing this - if you have any questions, let me know. Haha. It sounds great on the limited testing I can do the in the lab. My AD/DA and all the rest of my gear isn't set up right now, because some folks are living in my studio while their house gets rebuilt after flooding during Hurricane Harvey last August. They should be back in their home this month. It was supposed to be January... I'm getting antsy. I'm looking to recap my 1280b only. Can I recap with these larger values without any other mod? Will this be safe and will it be better than using the same stock values? Yeah, you can use the higher values or not without any other mod.